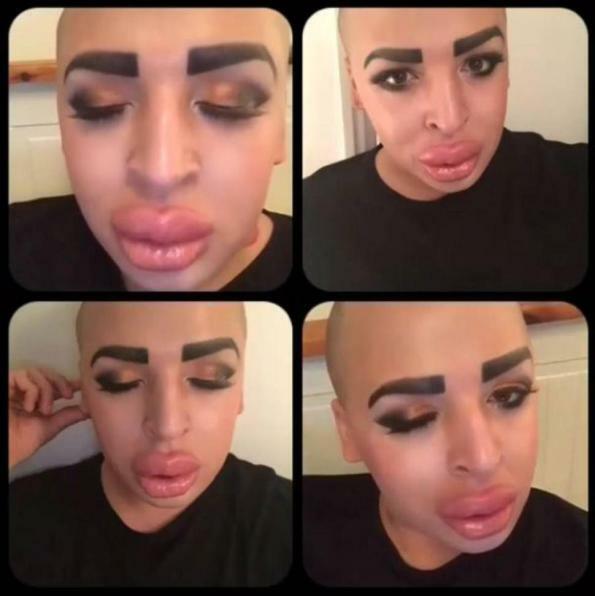 Man Spent $150,000 To Look Like Kim Kardashian, Don't Vomit! 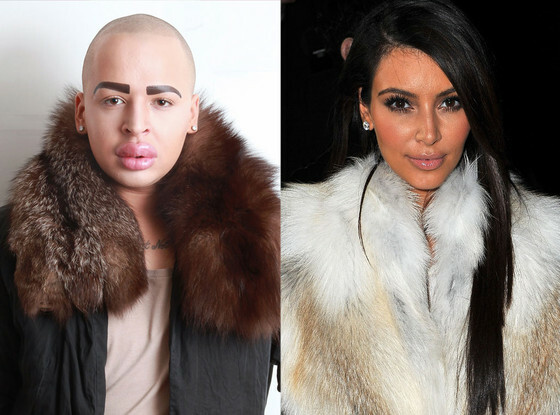 Man Spent $150,000 To Look Like Kim Kardashian, Don’t Vomit! 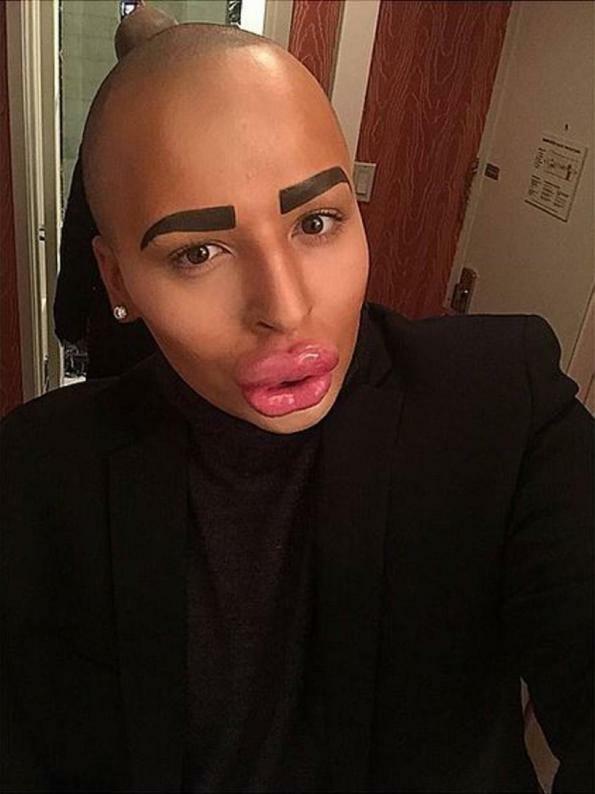 Meet Jordan James Parke, a British make up artist who’s spent $150,000 to look like Kim Kardashian. Well, that was his intention — to look like Kim K — but the result is more uh, whatever is going on here. The $150k has gotten him lip fillers, cheek fillers, Botox, laser hair removal, veneers, and eyebrow tattoos. The next surgery on the list is a nose job. Well I don’t judge nor like Kim Kardashian, but in this case I make a exception and say first of all Kim Kardashian is not that ugly… at all. Plus he looks absolutely revolting, How can someone do this to himself like someone transformed herself as Barbie. What you think about him or her? I am confused. 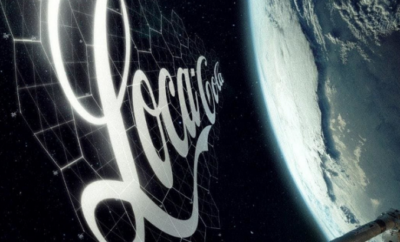 This is what he was aiming for. Aim for Moon went to Mars.